My sister and I used to fight constantly over who would get to keep this book, week after week. Another art gallery buy, the glossy pictures, short, sharp sentences and vibrant colour, it was the kind of book you were drawn to from about the ages of about 2-13. But this book is not aimed at any age in particular. 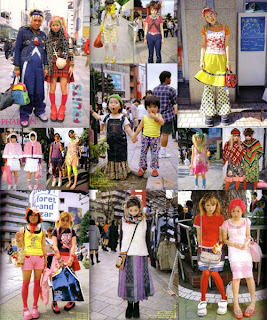 Fruits is a collection of photographs of Japanese street style, complete with small descriptions of every look at the bottom. 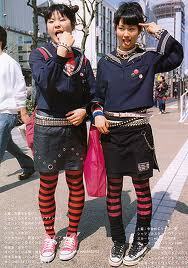 According to the unique individuals photographed, their ensembles are representing a personal point of fashion, from “fluffy alien” to “harmony and unity”. 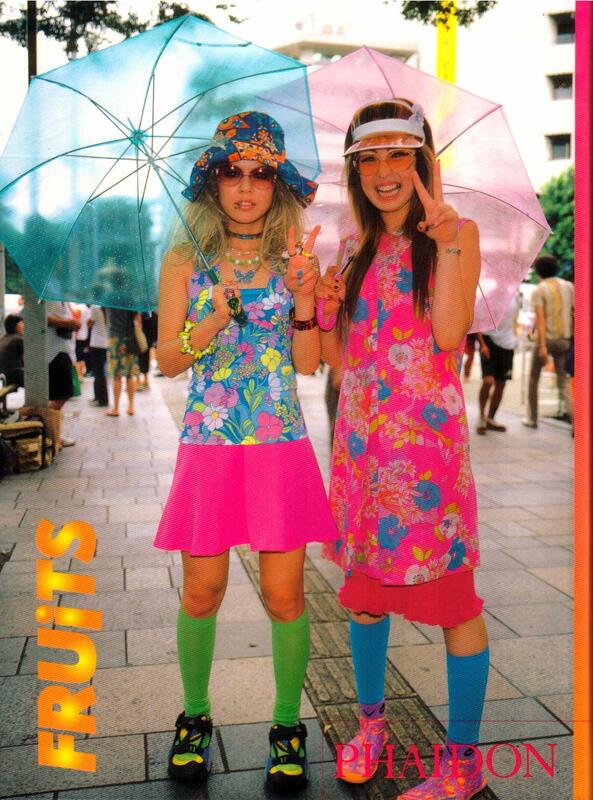 The western clothing that you see everyone except these people wearing has only been mainstream in Japan for about fifty years and considered very conservative. The strange outfits of these people are mostly handmade and most link back to their traditional culture- kimonos in bright colours. This book makes you laugh occasionally, think often and smile at every page. Definitely worth reading, even if you just want to see the boys with funny hairstyles.